There can’t be many more scenic spots for a spot of yoga in the captial than the soaring peak of London’s newest – and tallest – landmark, The Shard. So, when I got the opportunity to try out Yogasphere’s very first Yoga in the Clouds class, bright and early in the morning, I jumped at the chance. The weekly classes – which will be running until October – were founded by renowned yogis Leo Lourdes and Mandy Jhamat from Yogasphere and offer yoga enthusiasts the chance to perfect their skills surrounded by stunning panoramic views of London, for up to 40 miles. Located in The View From The Shard’s viewing gallery, 800ft above London, Yoga in the Clouds is London’s highest yoga class. 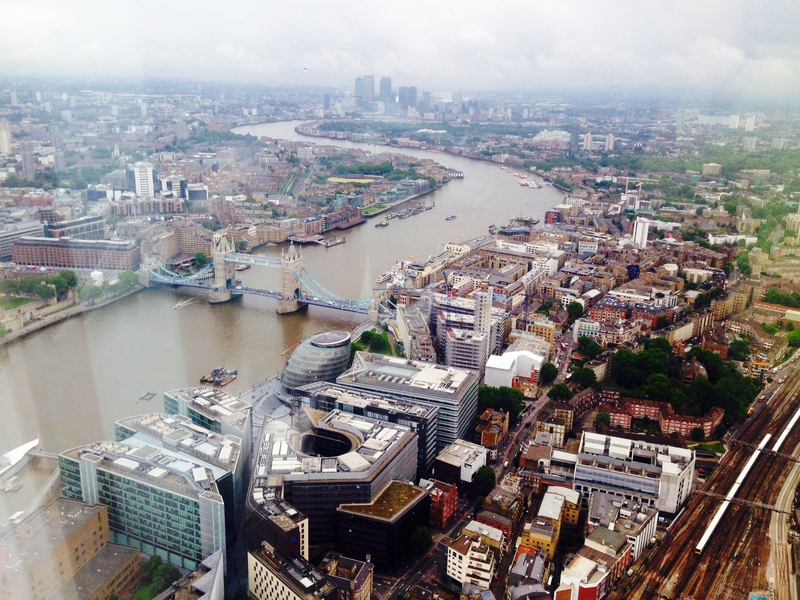 Getting up to The View From The Shard attraction is an experience in itself, with lifts whooshing up to the 69th floor in ear-popping speed. Once you arrive, the incredible view greets you immediately. Suddenly everything felt calm and peaceful, with the hustle and bustle of London bridge station below seemingly a million miles away. This is why it’s so perfect for a relaxing yoga session, where you can really rejuvenate and re-energise. Leo and Mandy expertly led us through a series of flowing yoga routines, from Downward Dog to Warrior poses. Wherever you look, London surrounds you with famous landmarks resembling a landscape of lego blocks below. More than once, I allmost lost my balance taking in the vistas. I have done yoga classes before, but after this session I really got it and the more spiritual side of the practice, which often gets lost in the sweaty and packed classes in my local leisure centre. I felt completely relaxed and ready to take on the day. 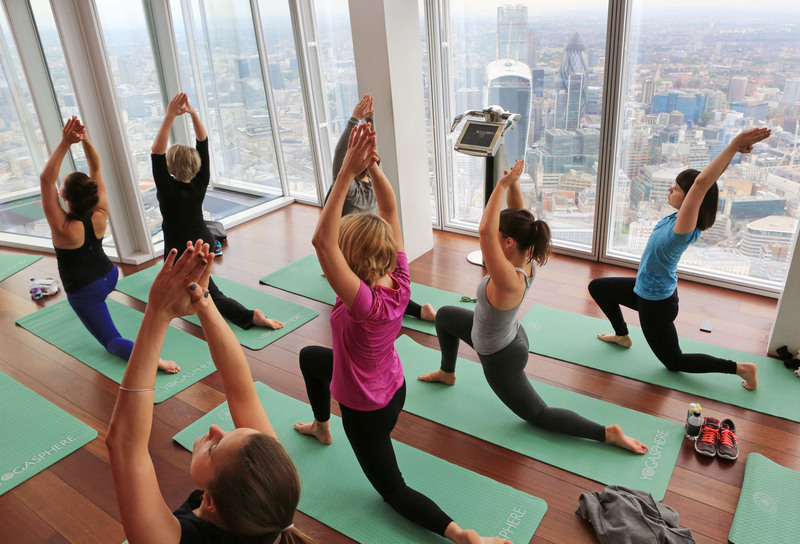 Due to public demand, The View from The Shard has extended it’s popular programme of premium yoga experience sessions to the end of October. Classes are priced at £40 per person in advance, spaces are limited and booking is recommended.